Russian officials want to save jobs at AvtoVAZ's Togliatti plant. MOSCOW (Reuters) -- A Russian minister called for new support measures at AvtoVAZ's mammoth car factory on the Volga to avoid social unrest as data on Monday showed car sales in Russia plummeted again in July. Data from the Association of European Businesses (AEB) showed car sales fell 58 percent last month compared with the same period a year ago, a slightly worse showing than the 56 percent slump seen in June. Analysts and government officials have warned that social unrest could radiate from the automotive sector, where companies have been forced to lay off workers, cut wages and shorten work weeks since the financial crisis began last autumn. 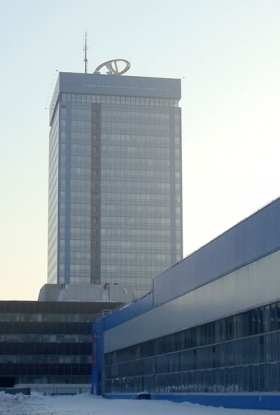 In a rare acknowledgement of the gravity of the problem, Deputy Prime Minister Alexander Zhukov called for special measures to save jobs in Togliatti, where AvtoVAZ is located, but said further production halts could be necessary. "I think the situation in Togliatti needs a special program for stabilizing the labor market considering a possibly temporary halt to the factory," he said, Interfax reported. Last week, about 2,000 auto workers and their supporters protested in Togliatti after AvtoVAZ shut down its flagship production facility for the month of August despite receiving more than $1 billion in government help. That protest echoed this winter's unrest in the city of Vladivostok, where demonstrators clashed with police over higher import tariffs imposed to protect domestic makers such as AvtoVAZ, which is partly owned by France's Renault SA. Sales of AvtoVAZ's Lada brand fell 42 percent year on year in July, slightly better than its average decline of 44 percent for the first seven months of 2009.